April 25, 2019 | Advertising Disclosure | Our Sponsors may be mentioned in this article. Get ready country music fans—it’s almost time for Nashville’s most beloved music event, the CMA Music Festival. The event is Thursday through Sunday, June 6-9, 2019, in Downtown Nashville, and attracts about 80,000 locals and tourists for one weekend of country music lovin’. 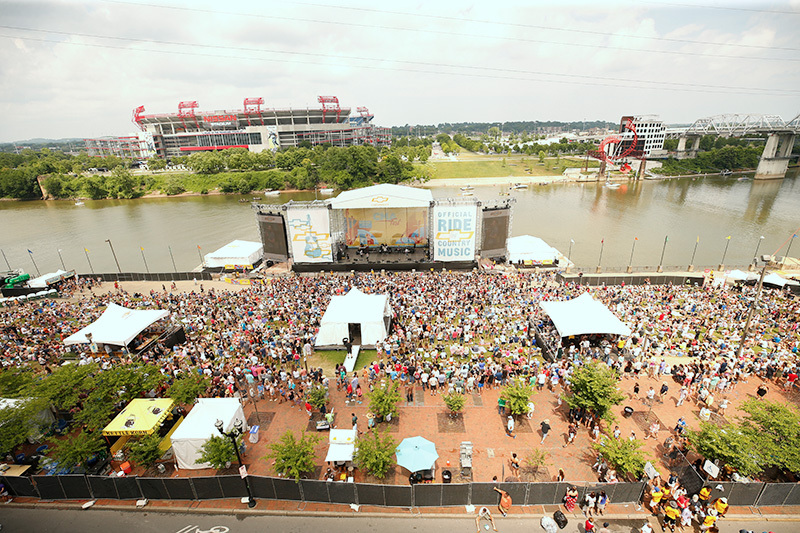 There are two parts to CMA Fest in downtown Nashville: the free and the ticketed shows. The concerts and activities from 10:00am to 5:00pm each day at Riverfront, behind Ascend Amphitheater, and Walk of Fame Park are free and open to the public. The shows at Nissan Stadium and at Ascend Amphitheater (Firestone Country Roads Stage) each night are ticketed. If you want to join in the fun without spending a dime, just head down to Broadway—you won’t miss it. See the lineup and schedule, which includes Florida Georgia Line, Carrie Underwood, Keith Urban, Kelsea Ballerini, Little Big Town, Luke Bryan, Rascal Flatts, Tim McGraw, and many more. 2 Comments on "CMA Music Festival 2019"
Why are they now charging for the concerts at the Ascend? I thought these were supposed to be free? Hi Darla, the shows behind Ascend are still free. The shows at Ascend start at $10 and benefit the CMA Foundation.